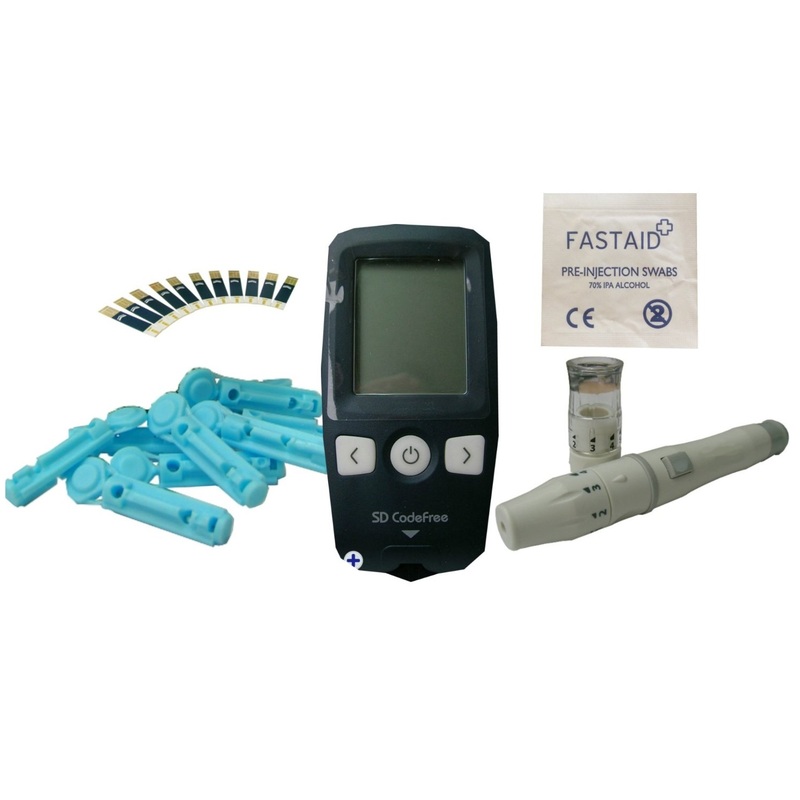 Home / All Products / Diabetic Tests / Blood Glucose Monitor / Blood Glucose Monitor SD Codefree Meter Diabetic Monitoring Device. This meter is the standard priced meter for none diabetics. If you are a diabetic then please visit our other meter where where you can select that you are a diabetic and we will take the VAT off the price! 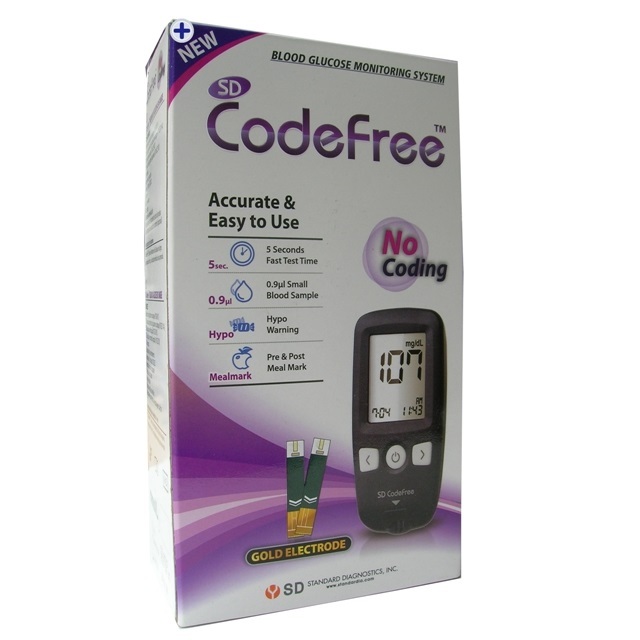 1 x SD Codefree Blood Glucose Meter – stores up to 500 test results – we are offering two meter types – One reading in mmol/L and the other reading in mg/dL. You can select which meter type you want by selecting the meter from the drop down menu below. 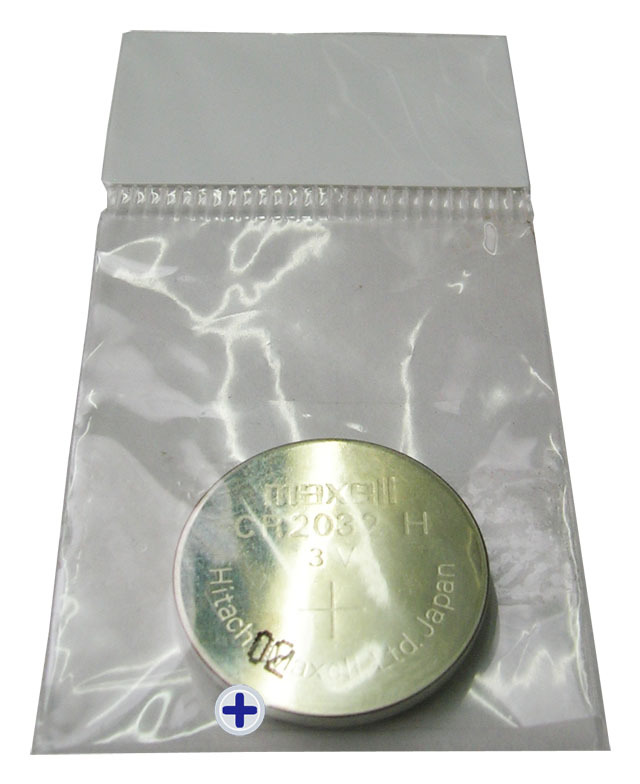 To purchase additional lancets click here. 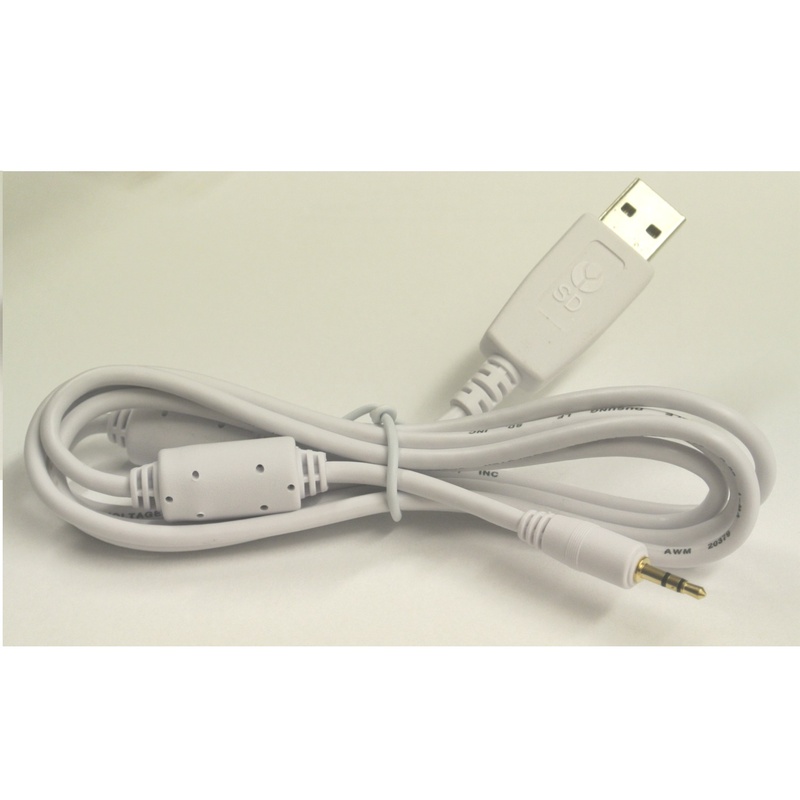 To purchase additional replacement test strips click here. For more information on this test and diabetes click here. Many people think that there is no point in self-testing because they believe that they know when their blood glucose levels are too high. Unfortunately this is often not true and unless your blood glucose level is very high, the way you feel is not always a good or accurate guide to what is happening. 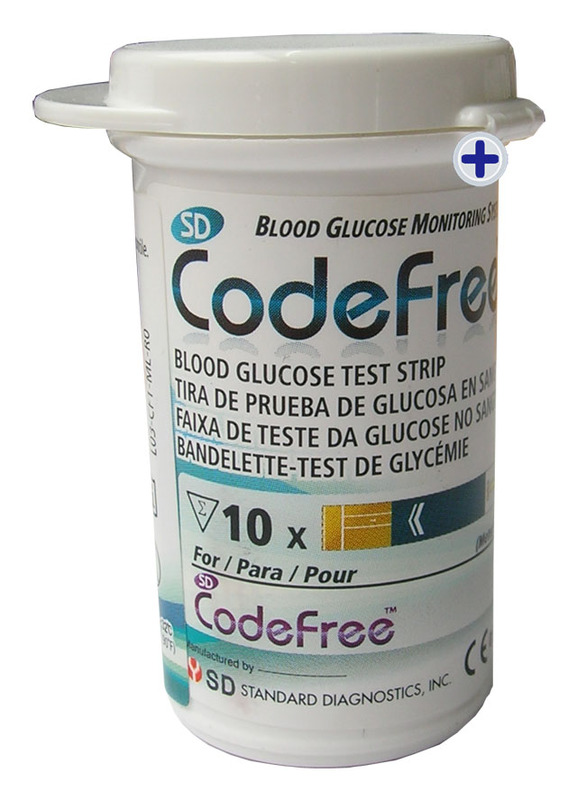 The SD CodeFree Blood Glucose Monitoring System gives an accurate picture of your blood glucose level at the time of the test. It involves pricking your finger with the lancing device and putting a drop of blood on a testing strip. SD CodeFree Meter will read the result automatically. Using the Self-Test diary included in the pack to record your results will help you and your healthcare team work out whether your treatment needs to be adjusted. Benefits of the SD CodeFree System? 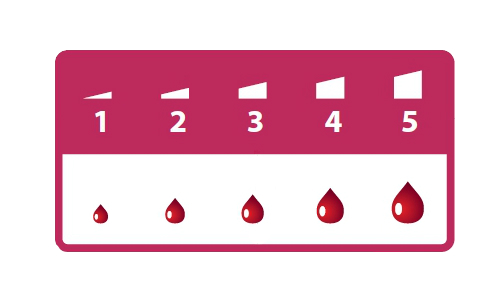 Quick and Easy to use – many meters will require you to enter a unique code every time you test but with the SD CodeFree Meter you just need to apply some blood to a test strip, insert it into the slot and the meter will automatically give you a reading in just 5 seconds!! Convenient – the meter is small (47mm x 95mm x 17.5mm) and lightweight (47.5g with battery) and comes with a free carry case so that you can take your SD CodeFree Meter with you anywhere. 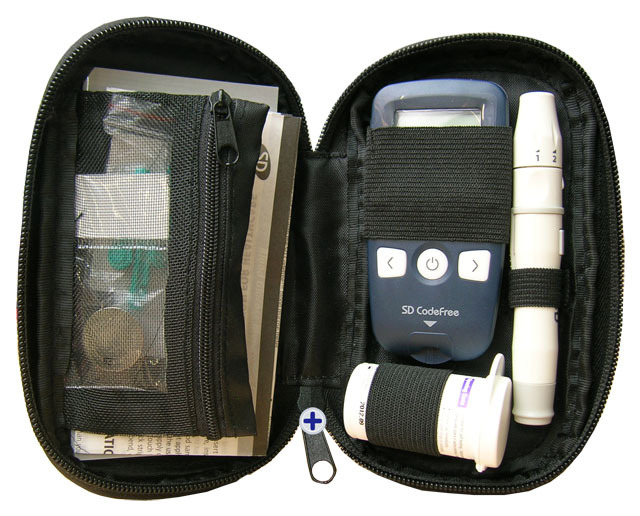 The carry case is compact and lightweight but still has compartments for everything you need – Lancing Device, Lancets, Test Strips, Control Solution and Instructions. 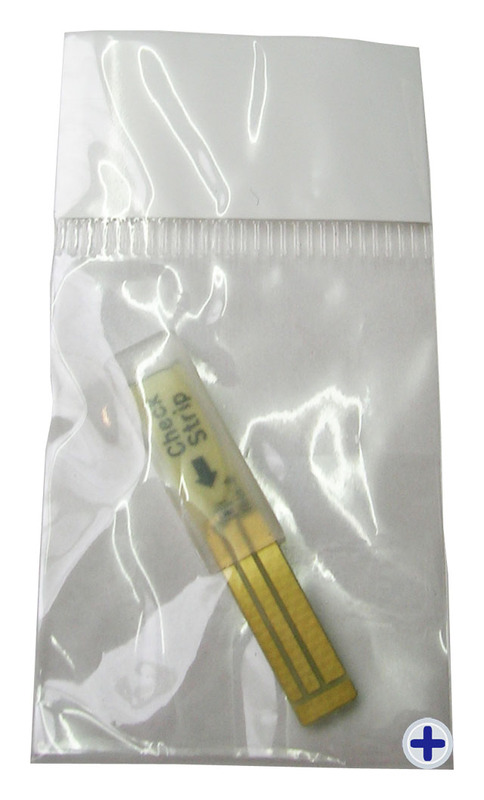 Large Memory – the SD CodeFree Meter can store up to 500 results at a time. 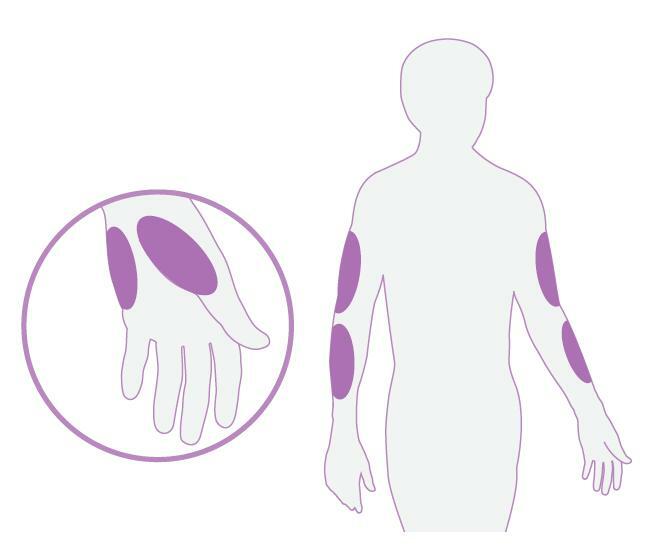 Alternative Site Testing – the kit comes with an adaptable lancing device enabling you to obtain a blood sample from somewhere other than your fingertip eg. palm, forearm etc. This can help to give you a more accurate result if you have not eaten or taken any medication in the last few hours. There is also an alarm setting to remind you to take your blood glucose reading. 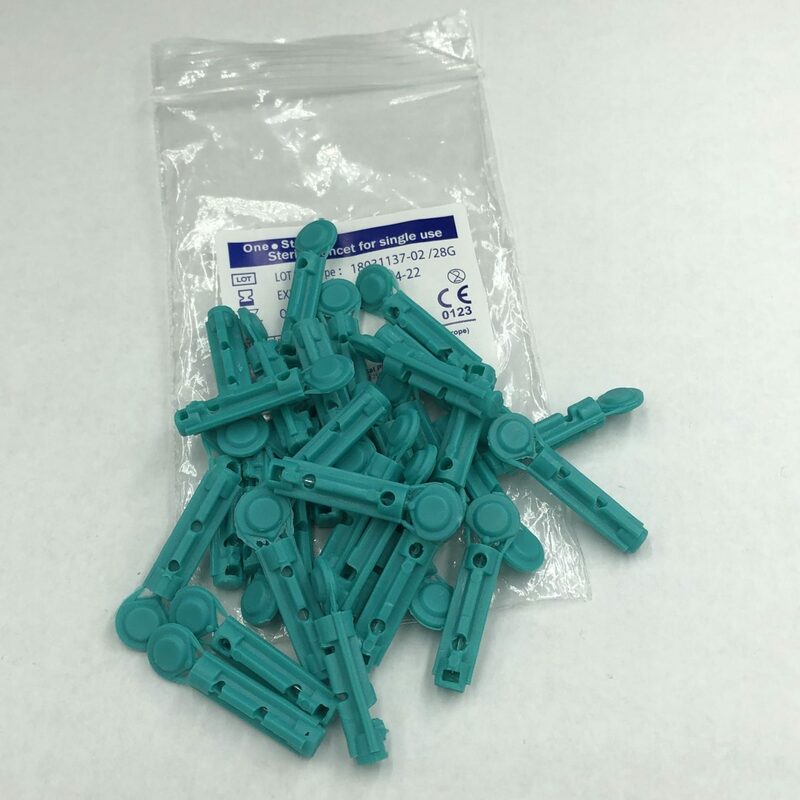 Low priced replacement strips and lancets – 50 replacement strips for most blood glucose meters will cost you around £10 or more but you can buy 50 replacement strips for the SD CodeFree Meter from us for just £7.69 including postage!! 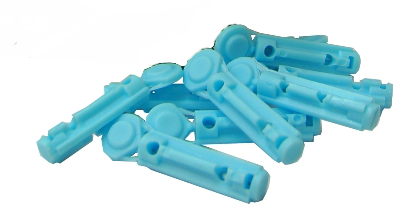 You can also buy 100 lancets for just £5.99 including P&P!! 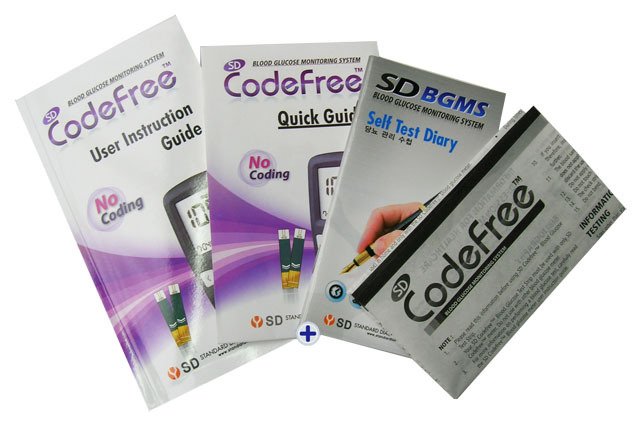 You can use your SD CodeFree Meter with SD Diabetes Management Software to store your records on your computer and help you to spot patterns for planning meals, exercise and medication. The Software is free for all customers and should be used under the supervision of a medical professional who will be able to use the program to help you better manage your diabetes.